"There were two levels, two stacks right by the counter, right by the fresh fruit, right under the donuts ... I couldn't believe they had them out there in the open." — Mayor Barth Grayson of Bald Knob, Arkansas, to Little Rock TV station KARK. Grayson was describing the precise placement of "dirty magazines" being sold at at Jiffy Jerry's Quick Mart in Bald Knob. Grayson told the clerk it was against the law to display dirty magazines in plain sight, and so near to the fresh fruit and baked goods. He asked that the magazines be moved behind the counter. Fly on the Wall would like to thank an eagle-eyed reader for spotting this delicious sign at Popeyes on Poplar Avenue. 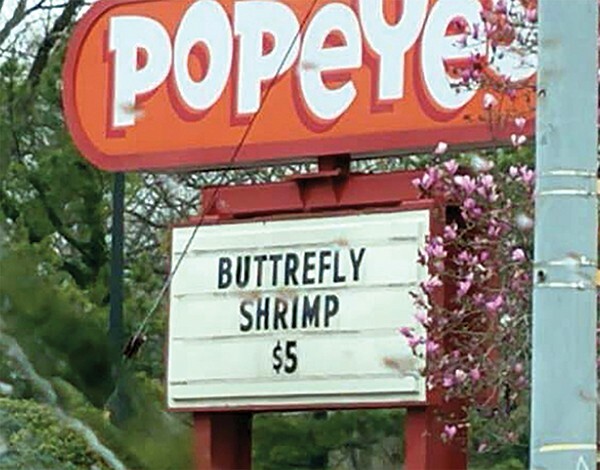 For the bargain price of $5, diners may choose to order the daily special: "BUTTREFLY SHRIMP." Doesn't that sound tasty? Local TV stations have gotten better at identifying stories shared from other markets. But now and then, things still slip through the cracks. 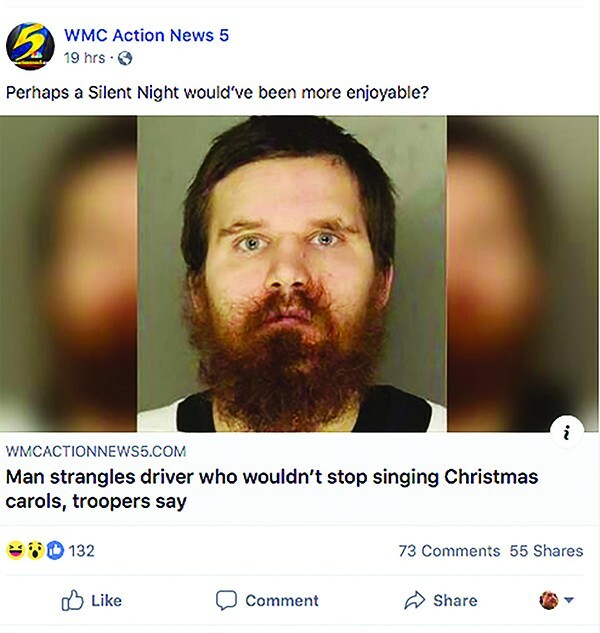 Via WMC: "Man Strangles Driver Who Wouldn't Stop Singing Christmas Carols, Troopers Say." That happened in Pennsylvania. It also sounds totally defensible.